Hundreds of youths clashed with police in central Algiers Friday, hurling back tear gas grenades fired by security forces attempting to disperse demonstrators, AFP journalists said. 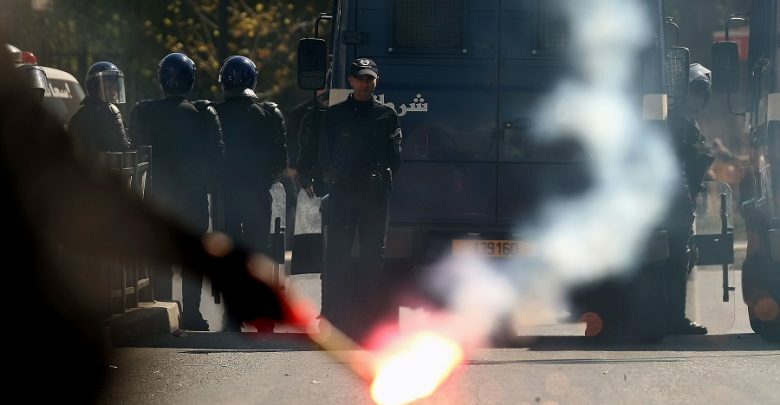 While the vast march in the centre of the Algerian capital was largely calm, tensions were noticeably higher than at previous rallies, and clashes erupted between the young protestors and police towards the end of the protest. Algerian police arrested 108 people in the protest after conflicts with "infiltrators" that injured 27 policemen, police said in a statement. Algerian protesters had gathered for the first Friday demonstrations since the announcement of presidential elections to succeed ousted leader Abdelaziz Bouteflika, fearing a government ploy to stay in power.